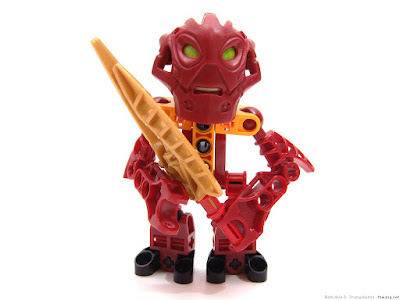 Bionicle MOC: Toa Inika Jaller - Chibi! Just having a little fun with this one. 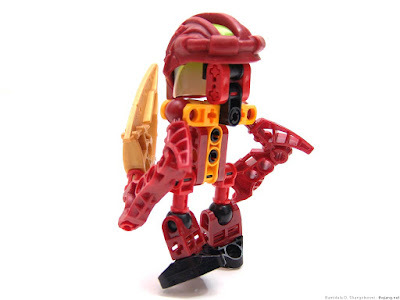 I really didn't like the Inika series a lot, but after playing Bionicle: Heroes on the XBOX 360 I decided to try a few of them out. I had a couple sets of the masks from my eBay raids and figured to help break my visceral dislike of the blank-eyed rubber blobs I'd make fun of one with a chibi (mini) attempt. Here's the result, Jaller in under four inches!